Celebrity Gift Room on November 17, 2012 at Ben Kitay Studios. First can be seen on the Disney Channel and Disney Junior. Temara always knew she wanted to become a recording artist and has worked her entire life singing, dancing and preparing for her time in the spotlight. She incorporates her dance training into her stage shows and really loves the whole “Production” of a concert. Temara’s musical influences are artists such as Cher Lloyd, Little Mix, and Jesse J. Temara’s first single Pour it on Sweet was nominated for a HMMA award in 2011 for best pop song. In just a year, Temara has established a strong fan base with over 250,000 twitter followers and thousands of Facebook fans and youtube subscribers. You can check out her website, facebook and twitter . Watch for her appearing soon at a place near you! The X Factor goes from 10 contestants to 8, after two more are eliminated……Beatrice Miller and Arin Ray-Should they have gone home? After a Wednesday night show where each of the contestants thanked and dedicated their song to a special someone, and each contestant gave it their all. Thursday night, was the elimination of two of them. Beatrice Miller and Arin Ray! It was a difficult Thanksgiving for Britney Spears. Britney is mentoring the 12 to 16 year old, and now has just two acts left. TWO of her X Factor hopefuls were home. Simon felt that this was too much for Beatrice Miller, he said: ‘Beatrice I don’t think this is the right time for you sweetheart – I’m going to send you home.’ Perhaps proving his point, her loud sobs broke through the silence of the crowd. As the tears followed, superstar Britney told her protege: ‘Sweetheart you are so young, you have so far to go, this is just the beginning for you. “The X Factor” airs Wednesdays and Thursdays at 8 p.m. ET on Fox. Lia Marie Johnson will play “Lorraine ‘Rayna’ Constance”, the female lead. Male lead “Vincent” still to be cast. 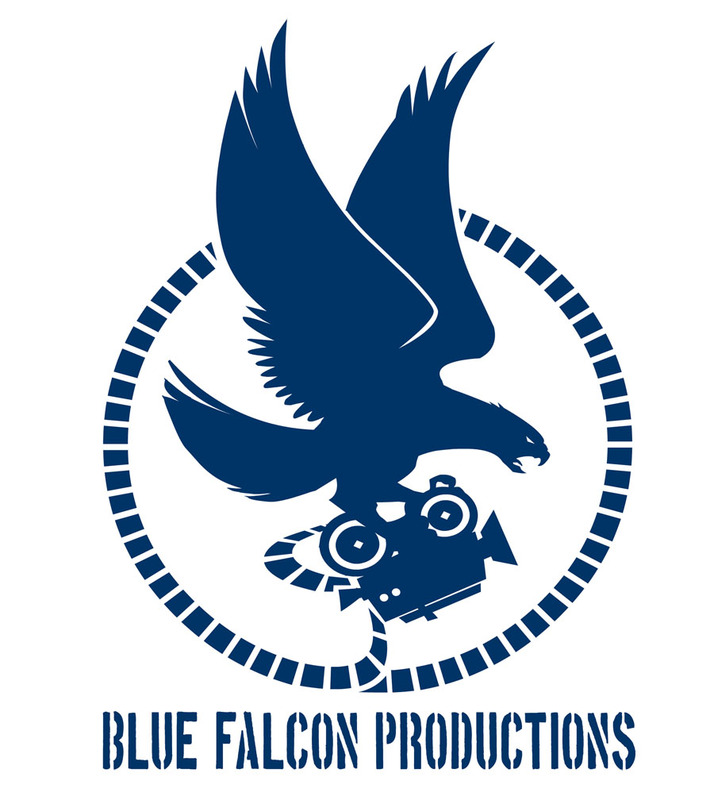 The film will be a contemporary re-imagining, based on characters created by Washington Irving for “The Legend of Sleepy Hollow”. Jude Walko, the director was asked “What can the audience expect from this film?” Jude’s reply “The audience can expect a contemporary and tasteful re-imagining of the Headless Horseman legend based on characters created for Washington Irving’s “The Legend of Sleepy Hollow”. 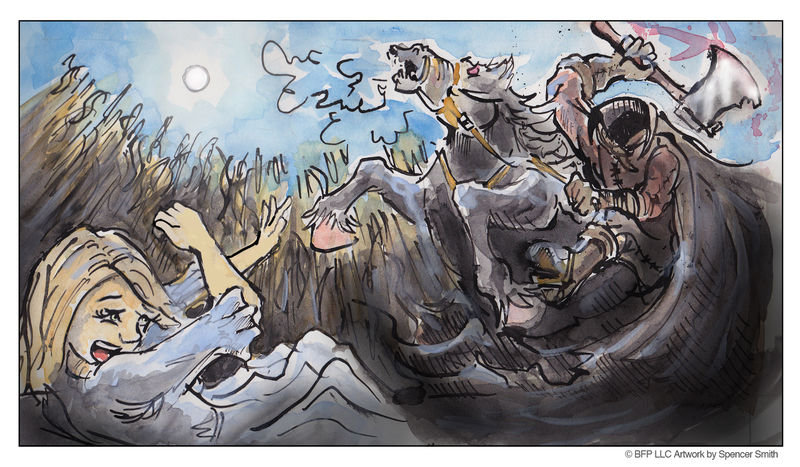 With all the beat points of classic horror, “The Unhallowed Horsemen” is a archetypal morality play with a killer iconic antihero. Stellar acting performances, action, suspense and just the right amount of blood and gore will make this a horror/thriller that will have longevity through the ages, and become part of the American Halloween Folklore.? release date of Friday the 13th (September 13th, 2013). Zach Callison attends the premiere and storybook launch for Disney Junior’s “Sofia theFirst: Once Upon A Princess” at Walt Disney Studios in Burbank, CA. 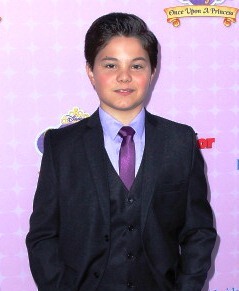 Zach Callison is the voice of “Prince James” in” Sofia the First; Once Upon A Princess”, that will be released on the Disney Channel on November 18th, 2012. Zach will also be part of the TV Series that will premiere on Disney Junior in early 2013. Zach who is an actor, singer and voice actor started out in St Louis Missouri in the Music Man as Winthrop at the St. Louis Muny. 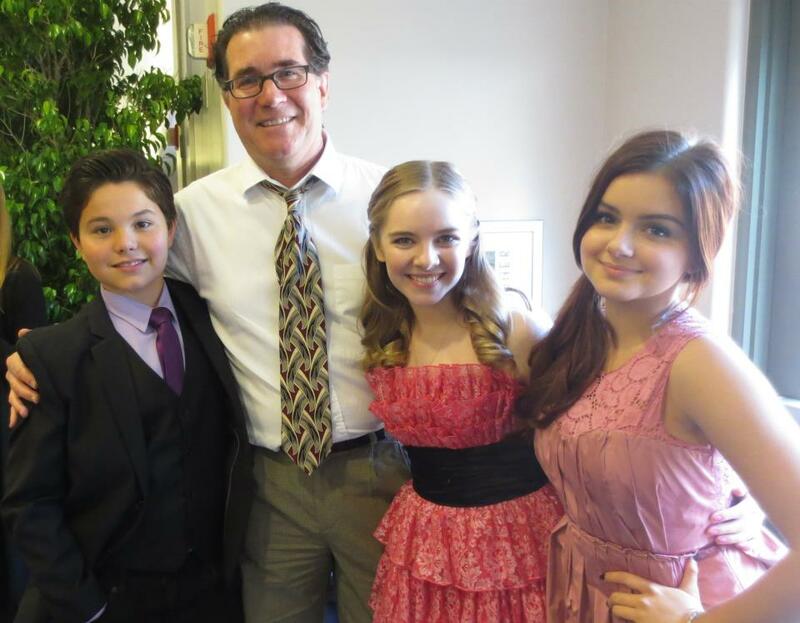 Prince James(Zach) and his sister Princess Amber(Darcy Rose Byrnes) become the stepbrother and sister to Sofia(Ariel Winter). These three are in the fairy tale world but dealing with those things that kids of today deal with: learning new skills, dealing with friends and sibling relationships. Also, starring are: Sara Ramirez (Grey’s Anatomy) as Queen Miranda; Wayne Brady (Let’s Make A Deal) as Clover; Tim Gunn (Project Runway) as Baileywick. Nancy Kanter, Senior Vice President, Original Programming and General Manager, Disney Junior Worldwide, was there at the premiere to introduce the film and introduced the Zach and the other voice actors. You have seen Zach on Disney’s Hannah Montana and I’m In the Band, and has voiced and appeared on many tv shows, films, and commercials. 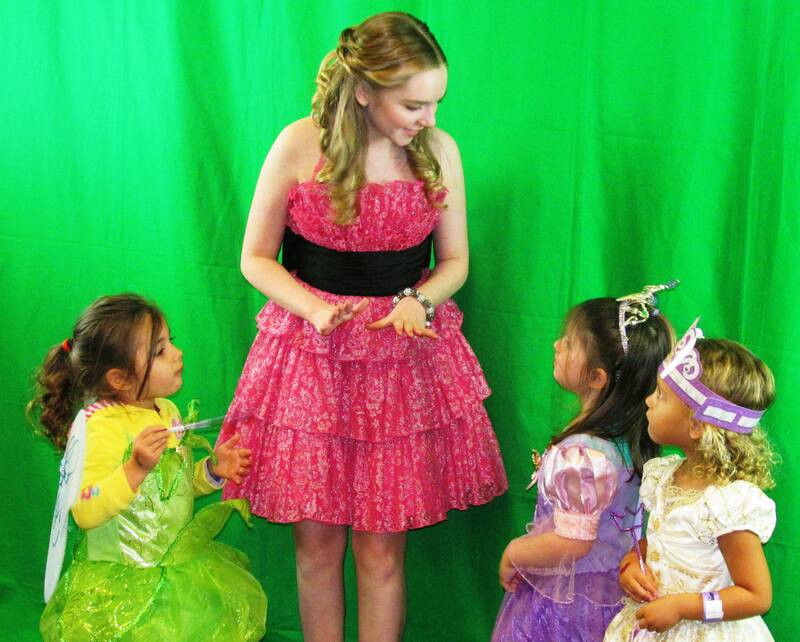 Darcy Rose Byrnes is the voice of Princess Amber, the mean step sister to Sofia(Ariel Winter) but she is not all mean and you will love her charachter in this film. Sofia the First: Once Upon A Princess” stars the voices of Ariel Winter (“Modern Family”) as Sofia; Sara Ramirez (“Grey’s Anatomy”) as Queen Miranda; Wayne Brady (“Let’s Make A Deal”) as Clover; Tim Gunn (“Project Runway”) as Baileywick; Darcy Rose Byrnes (“Desperate Housewives”) as Amber; Zach Callison (“Land of the Lost”) as James; Travis Willingham (“Ultimate Spider-Man”) as King Roland II; Jess Harnell (“Doc McStuffins”) as Cedric; Ashley Eckstein (“Star Wars: The Clone Wars”) as Mia the Bluebird and Meghan Strange (“Special Agent Oso”) as Robin. Disney Legend Russi Taylor (Minnie Mouse), Barbara Dirickson and Tress MacNeille (Daisy Duck), bring Fauna, Flora and Merryweather, respectively, to life. Jennifer Hale provides the voice of Cinderella. 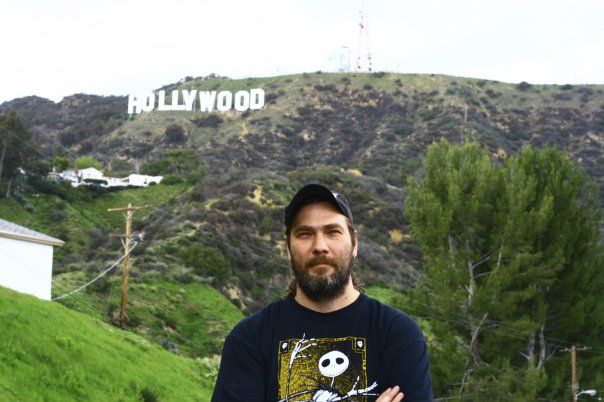 Craig Gerber (“Pixie Hollow Games”) developed the movie and serves as co-executive producer and story editor. Jamie Mitchell (“Special Agent Oso”) is executive producer and director. John Kavanaugh (“Winnie The Pooh: Springtime with Roo”) serves as songwriter/music director and Kevin Kliesch (“Tangled Ever After”) is the composer. “Sofia the First: Once Upon A Princess” is a production of Disney Television Animation. Darcy Rose Byrnes is no stranger to tv, film and voice over. Many of you know her as Penny Scavo from Desperate Housewives and Abby Carlton from the Young and the Restless and The Bold and The Beautiful. Darcy is also the voice of Ikki in The Legend of Korra and Elena in The Winx Club. You can expect to see and hear more from this beautiful young actress for many years to come.